Winter outdoors: ice skates, snowboards, and sleds. What a fun! 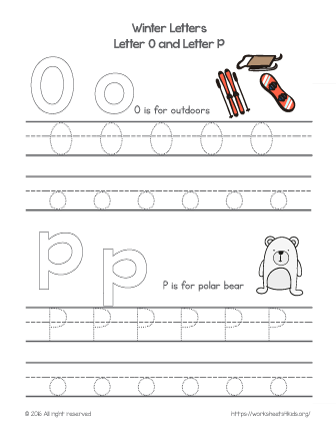 Practice alphabet letter tracing with winter themed worksheets. Tips: color the letter using crayons, paints or markers; place a playdough to make a letter and decorate it on top; glue your favorite stickers or pom poms inside the letter. Find your favorite way and share with us!